This tutorial explains the method to export Apple Mail MBOX emails to MS Outlook PST or Office 365 files. It describes the process of exporting Apple Mail mailboxes to MBOX and then conversion of the MBOX files to PST. The procedure to import resultant PST files to MS Outlook 2016 version is also explained. So let's begin a detailed guide and tutorial. With advancement in technology, the mode of communication has changed to the digital mode. A lot of applications are used by users world-wide for communication both at Individual and Enterprise levels. This includes web email apps, desktop email apps and mobile based applications. In all these apps, some are available for free while some are paid apps with extended features. The widely utilized email clients are Mozilla Thunderbird, Windows Live Mail, Windows Mail, Spicebird, Entourage Google Mail, Turnpike, Apple Mail or Mac Mail, IncrediMail, The Bat!, Horde Mail, Sylpheed, Eudora and many more. Few of these apps are developed for Web Access only, while some are released as desktop versions and some offer both web-based and desktop-based access to mailbox data. Even Operating Systems such as Windows and Mac comes integrated with email applications. Built-in email client for Mac OS X is Mac Mail or Apple Mail and for Windows, the integrated email apps are Windows Mail or Windows Live Mail. Amongst paid apps are MS Outlook, undoubtedly the most preferred email client that offers extra-ordinary communication and calendaring features. Users sometimes need to switch the email clients or the operating systems due to many personal and professional reasons. The common scenario is when you are using Mac and want to access your Apple Mail emails in MS Outlook on Windows Operating System. 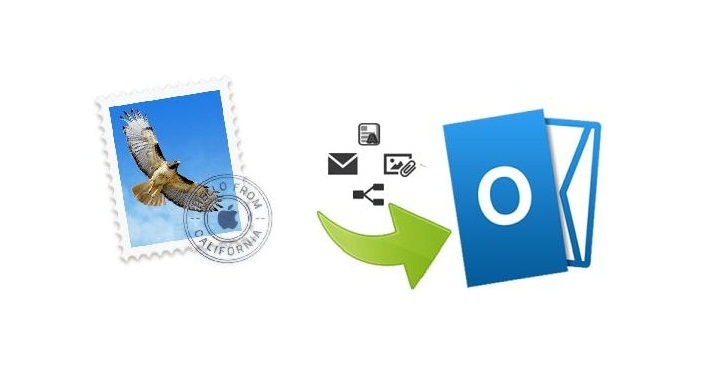 For this, you will need to export Apple Mail to Outlook 2016 PST file format. You can do it manually by configuring an IMAP account but this can be time-consuming as it requires setting up multiple user accounts and transfer of numerous emails. This involves the risk of data loss; also, the integrity and structure of mailbox items is at stake, when using manual conversion procedures. Let’s look at each step in detail. With this, the Apple Mail mailboxes are exported to MBOX. You are now ready to convert Apple Mail MBOX to Office 365 or MS Outlook supported file format with the help of Stellar MBOX to PST Converter Technician software. Why Import MBOX to PST with Automated Converter Tool? Note: The procedure to import PST files in MS Outlook 2013, 2010, 2007 and lower versions may slightly vary from the above mentioned procedure.